In the epic, never-before-published conclusion to the series that began with the award-winning A CRUCIBLE OF SOULS, Mitchell Hogan combines the wonder of classic sword-and-sorcery fantasy with the grit of the modern masters to create something at once familiar and unique for readers of all ages. 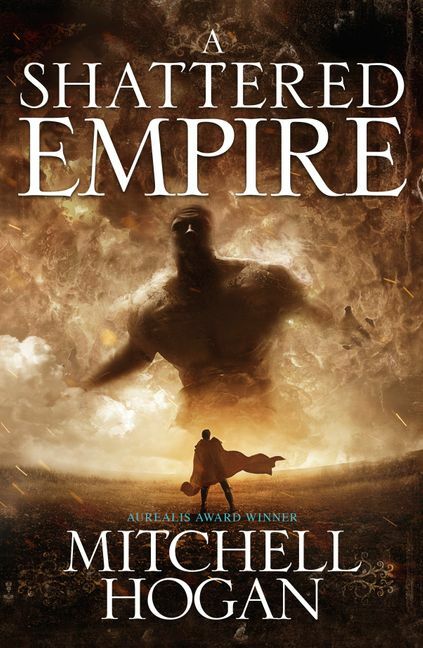 In this gritty and breathtaking conclusion to Mitchell Hogan's award-winning Sorcery Ascendant Sequence, a young sorcerer must learn to wield his extraordinary powers to defeat two warring empires. After young Caldan's parents were slain, a group of monks raised the boy and initiated him into the arcane mysteries of sorcery. But when the Mahruse Empire is attacked, and the lives of his friends hang in the balance, he was forced to make a dangerous choice. When he was eleven, Mitchell Hogan was given THE HOBBIT and THE LORD OF THE RINGS to read, and a love of fantasy novels was born. When he couldn’t stand putting off his dream anymore, Mitchell quit his job and finished the first draft of A CRUCIBLE OF SOULS. It won the 2013 Aurealis Award for Best Fantasy Novel and was listed as one of the Best New Series by Audible for 2014. Mitchell lives in Sydney, Australia, with his wife, Angela, and daughter, Isabelle.